Nassau, New Providence -- The Bahamas will join forces with countries globally in commemoration of Parkinson Awareness Month during the month of April, and Kingdor has planned several activities to focus the attention on this dreadful condition, one of which is the signature Gala Ball, to be held at the Melia Nassau Beach Resort, Cable Beach, on Saturday April 6, 2019. The Kingdor Parkinson's Foundation held a press conference on February 11 to announce the events. "An estimated one million people in the United. States live with Parkinson’s disease, approximately ten million globally and three thousand in The Bahamas (based on the World Health Organization’s estimation of an eight percent population of any one disease) and is the second-most common neurodegenerative disease after Alzheimer’s. Symptoms vary, but can include tremors; difficulty with balance, swallowing, chewing and speaking; and cognitive impairment," read their statement. "Based on International figure regarding any disease, there is approximately 8 percent of the older population stricken with the condition. 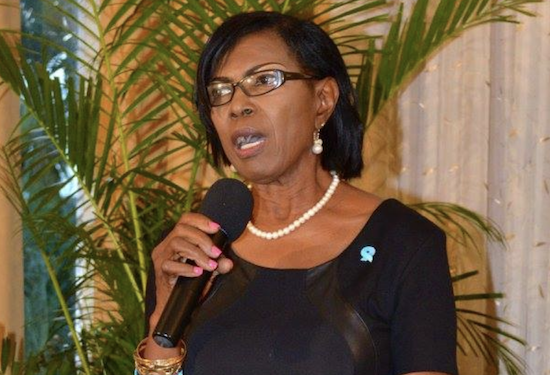 We therefore urge everyone in The Bahamas to join our community as we promote greater awareness of how Parkinson’s affects those living with the disease, and their families." To get involved, individuals can contact the Kingdor National Parkinson Foundation or you may wish to donate to the cause, thus support research and programmes, participate in an event, or share their story or others’ stories on social media. experience. Therefore, I invite you to partner with Kingdor. Together, we can make life better for people with Parkinson’s disease by improving care and advancing research toward a cure." Mrs. Mavis Darling can be reached at 242-477-3782 or 326-5291.